Getting Unstuck and Moving Further, Faster, Focusing on What Matters Most! 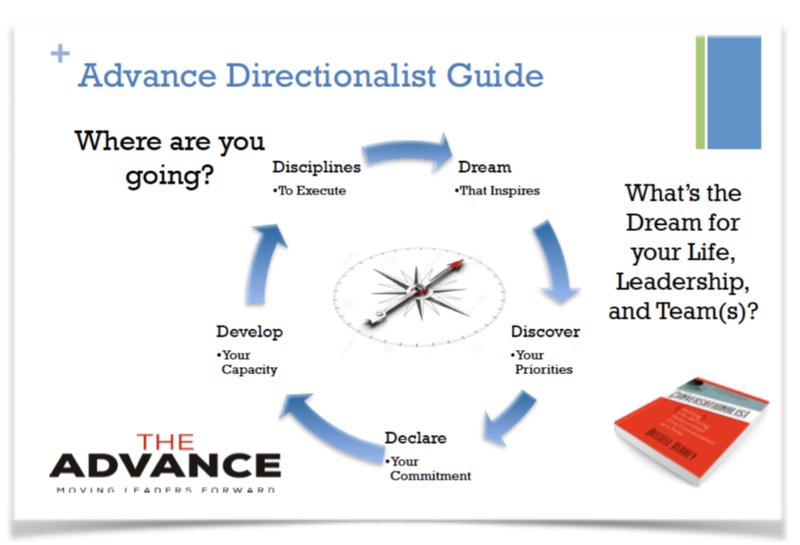 Directionalist is the Advance’s framework for guiding coaching discussions, articles, and team exercises. It’s the discernment focus for getting our bearings on the journey. It’s the opportunity for you to look around your life and leadership. As you enter the Directionalist discussion you will be reminded of what matters, what you will do, and how you will grow. Here you will gain a perspective! Advancing forward with a purpose with awareness, alignment, then actions for next steps! Quick Start Life and Leadership Coaching!